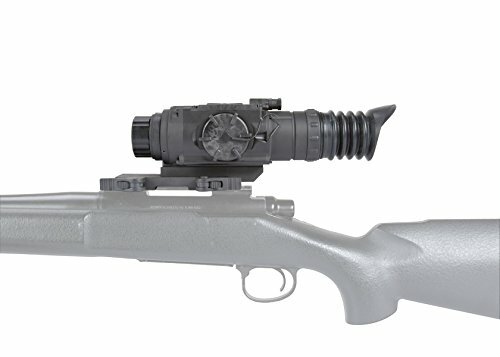 The Armasight Predator line provides all-weather support for target detection around the clock. Predator thermal imaging products are some of the most technologically advanced on the market. They are backed by great performance in the law enforcement, military, sporting, and recreation areas. The Predator 336 2-8x25 is a weapon sight for the savvy hunter who needs a reliable spotting scope or the military soldier who needs to illuminate and completely identify their targets. It is an all-around scope that will function both as a thermal imaging scope and a weapon scope. You can find our pick for the best thermal imaging scope for the money here. One of the most incredible features on the Armasight Predator is thermal imaging technology. It comes complete with a solid-state uncooled FLIR Tau 2VOx microbolometer (336x256). It renders fantastic image quality which gets you through all environments from haze, fog, smoke, snow, and light rain. This thermal imaging scope neither emits RF energy nor visible light. This way you remain obscured camouflaged with the environment and targets stay in your line of sight. The digital features on the Armasight Predator 336 include Second Generation Digital Detail Enhancement and Active Contrast Enhancement. It automatically processes optimized images with high contrast and great edge sharpness. If you tend to see images that blur towards the edges, the Predator 336 minimizes this. Image enhancement ensures you have high-quality target images. This scope also features Information-Based Histogram Equalization (IBHEQ) and Smart Scene Optimization (SSO) that enhances contrast and computes image correction for high-level target accuracy. The Predator uses top-of-the-chart technology and software algorithms. It ensures high levels of accuracy thanks to the digital reticle platform complemented by high contrast performance. Its boresight retention and target accuracy are nothing that can be achieved by ordinary ballistic drums and mechanical boresight adjusters. Instead, it translates its high precision into the e-zoom function which can be customized over the power settings without altering the target point of aim with the point of impact. Using its FLIR microbolometer, the Predator 336 has 640x480 and 336x256 pixel formats. The LED display tailors the image to optimum standards which is pure and soft with no glare. The Predator 336 is lightweight and one of the smallest thermal imaging sights. It comes with simple functions ranging from direct button and direct combination functions to electronic menu selections. It provides you with suggestions of the various features and operations to combine and customize your view. It has six digital reticles that are color-selectable. This includes Dot 4 MOA, Cross Center Dot, Line Dot, Clear, and Crosshair reticles. The reticle colors are red, black, white, and cyan. This digital display is complemented by other functions such as the battery status. 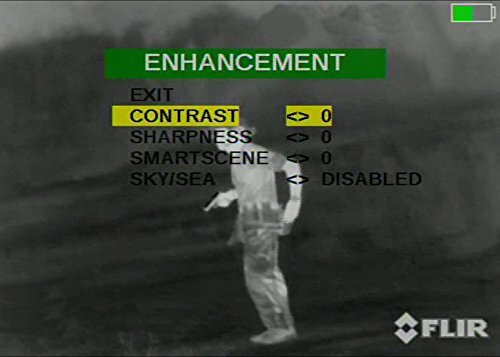 The Predator includes a wireless remote which activates the thermal imaging mode. Not to mention, it can also record video and has an optional digital video output recorder. The Predator is rail mountable to a wide array of equipment including hunting and military weapons. The installation is quite easy, reliable and quick to master. It features an intuitive MIL/STD 1913Picatinny/Weaver rail. It is based on a quick-release locking mechanism which is ideal for quick installations. It is a tool-less attachment procedure which can quickly be remounted without having to zero in the rifle again. This means you can maintain consistent eye relief and accurate shooting positions. The integrated side rail can accommodate an extra recording device or a battery pack. The multi-pin mechanism provides video-in imagery to facilitate viewing of a map, or rangefinder display. It also gives access to an external power source. The Predator makes quick work of target acquisition as its thermal core gives you accurate readings up to 950 yards. It features a glass lens that enables smooth digital zooms of 4-power and 6-power. You can connect the scope to an external video display through the NTSC/PAL video port. It can also be connected to an available digital recorder which can also be mounted on the available scope’s accessory rail. 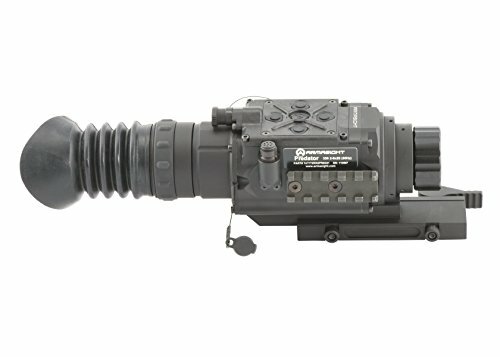 The Predator thermal imaging weapon scope has aluminum alloy housing. It remains lightweight for easy portability. It can withstand a wide array of operational temperatures. The O-seal and nitrogen filling provide fog proof and water resistance for nearly all conditions. It is a durable scope with long-term reliability. Two CR123 batteries power the Armasight Predator 336. These batteries can power the scope for 4 hours of constant use and there is an easy way to check the battery status simply and conveniently. The good battery performance and wireless remote are good features of this thermal imaging scope. Apart from the unique functional features, every Armasight Predator comes with a User-controlled Manual Non-Uniformity Correction/Flat Field Correlation (UCMNU/FFC). It is a mechanical shutter between the lens and the camera sensor. It performs non-uniformity correlation or flat-field correction (FFC) helping to achieve a uniform image. To reduce image noise, the Predator also has a user-controlled non-mechanical flat-field correction. It prolongs the time between mechanical shutters thus reducing the image noise. Armasight manages to produce the most compact and lightest of thermal imaging scopes in its line. The Armasight Predator 336 packs high-performance features for day and night applications. If you are a committed hunter who likes going out in the early dawn hours or after dusk, you’ll be happy with the quality of the thermal images. The applications of the Predator thermal scope permits you to customize the system making it efficient in a wide array of applications. It’s a long-wave infrared weapon scope which helps in 24/7 image discrimination. With the scope able to mask its location, it becomes a useful tool for military marksmen and law enforcers.